​Acetaminophen (i.e., Tylenol®, Feverall®, Tempra®) is an over-the-counter medicine used to reduce fever and relieve pain. 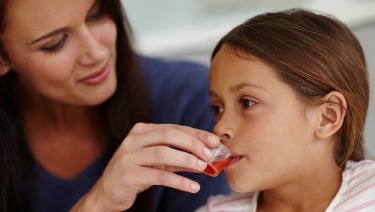 Improper dosing is one of the biggest problems in giving acetaminophen to children. This chart, based on your child's weight, can help determine the right dosage amount, but is no substitute for your pediatrician's advice. Caution: In 2011, the U.S. Food and Drug Administration (FDA) recommended liquid, chewable, and tablet forms of acetaminophen be made in just one strength. Since that time, manufacturers and retailers of pediatric acetaminophen have voluntarily worked to change the amount of acetaminophen in these medicines to one standard amount (160 milligrams [mg]). Some manufacturers have recently made chewable tablets into a single strength of 160 mg. Infant drops are no longer available. Liquid syrup acetaminophen is available as 160mg/5mL. Pediatric acetaminophen products on store shelves can continue to be used as labeled. Dosage: Determine by finding child's weight (in pounds) in the top row of the dosage table. Measuring the dosage (in metric units): Dosing syringes are more accurate than household utensils. Use the syringe or device that comes with the medication. If one does not come with the medication, ask the pharmacist for a medicine syringe. Household spoons are not reliable. Suppositories: Acetaminophen also comes in 80, 120, 325 and 650 mg suppositories. The rectal dose is the same as the dosage given by mouth. 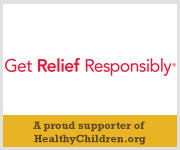 Extended-Release: Avoid 650 mg oral extended-release products in children.